With PokerStars World Championship of Online Poker and all of the other major September series’ in the rearview mirror, it was back to the grind for the online regs in October. The Monnthly PLB race featured many familiar faces at the top and one of the most prominent coming out on top in a dominant performance. ‘C Darwin2‘ ran away from the competition in October and compiled 3,930.01 PLB points. That gave him a margin of over 1,000 points versus the nearest competitor in ‘‘. The largest score for ‘C Darwin2’ came in the partypoker $100,000 guaranteed Sunday Super High Roller. The Swede won the event for $52,246 and came away with 469.04 PLB points as a result. In total, ‘C Darwin2’ had seven results of over 200 PLB points which greatly helped his cause toward finishing as #1 and maintaining the top ranking worldwide. October for ‘josef_shvejk’ was a relatively strong one with five wins, three of which came in The Heavyweight on partypoker. #3 in the October PLB was ‘lena900,’ who is also ranked third in the world. The highest score for ‘lena900’ during the month was in the $150,000 guaranteed Whale on 888poker. ‘lena900’ earned $43,750 for first place and 418.33 points. Jonatan ‘Pot4teUS’ Hellmancomes in at #4 with a month that puts him up to the top-25 worldwide. Hellman claimed multiple wins over the course of a few dozen cashes with a win in the $150,000 guaranteed High Roller Warm Up on partypoker serving as the highwater mark. PokerStars WCOOP Main Event champion Steven ‘SvZff’ van Zadelhoff is still #2 in the world and came in at #5 in the October PLB. van Zadelhoff put together a total of 2,516.35 points during October and while he didn’t have any million dollar scores, he did win four events and keep himself over 1,000 points ahead of ‘lena900’ on the worldwide rankings. 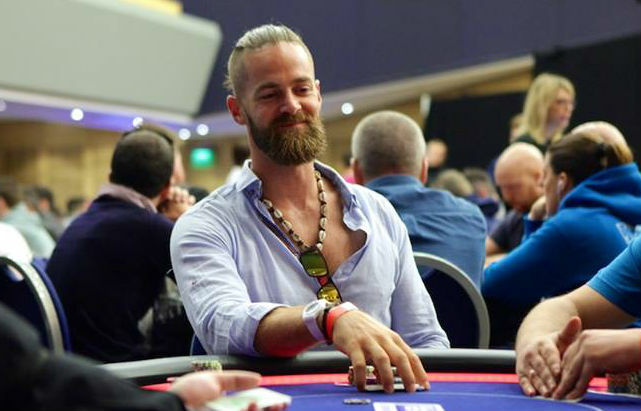 The fourth Swedish player on the October PLB was ‘Discoovery.’ The #65-ranked player in the world won The Heavyweight on partypoker along with the Big 215 on PokerStars. Those two victories accounted for almost 20 percent of the month’s PLB haul. The biggest PLB score of the month came from Mike ‘Pipedream17’ Dietrich. Dietrich won the Sunday Million on October 15 for $160,168 and a whopping 1,090.69 PLB points, putting him in sixth place. The former #2-ranked player is currently 29th in career earnings with over $7.2 million. Coming in at #8 was David ‘davaman’ Lopez. Lopez shipped the $40,000 guaranteed Big 109 for 232.59 points to bring himself up to a career-high worldwide ranking of 31. Another Swede and worldwide top-10 member who made an appearance was Andreas ‘r4ndomr4gs’ Berggren. The #3 Swedish player is top-five in the world and also top-10 in the all-time money list, making for an unofficial Triple Crown. The final member of the PLB’s 10 best was Lithuanian ‘Mikensonas.’ The best cash of the career of ‘Mikensonas’ came on October 1 when they won the Winamax Grand for $26,327. Just outside the top-10 were former #1-ranked players Chris ‘moorman1’ Moorman and Fabrizio ‘SixthSenSe19’ Gonzalez.